Learn from the Dalai Lama how to put into practice your understanding of renunciation, the awakening mind, and emptiness. When I first studied Jé Tsongkhapa’s root text on the Three Principal Aspects of the Path several decades ago, I recognized I had encountered the essence of all the Mahayana teachings of the Buddha, and the indispensable foundation of the Vajrayana. I knew that I could entrust myself to these three principles in all my lifetimes until enlightenment, and my faith in them has only deepened during the ensuing years. In this precious volume, His Holiness the Dalai Lama has brought his vast erudition and profound insights to elucidating this text for the modern world, for which I offer my humble gratitude and joyful appreciation. I teach my students about bodhisattva practice in terms of the three main aspects of the path: determination to be free, bodhicitta, and correct view. I am thrilled to see that we now have Tsongkhapa's pithy and profound verses on this topic along with the Dalai Lama's lucid commentary. This is a short, readable book––and a great introduction to Mahayana practice. 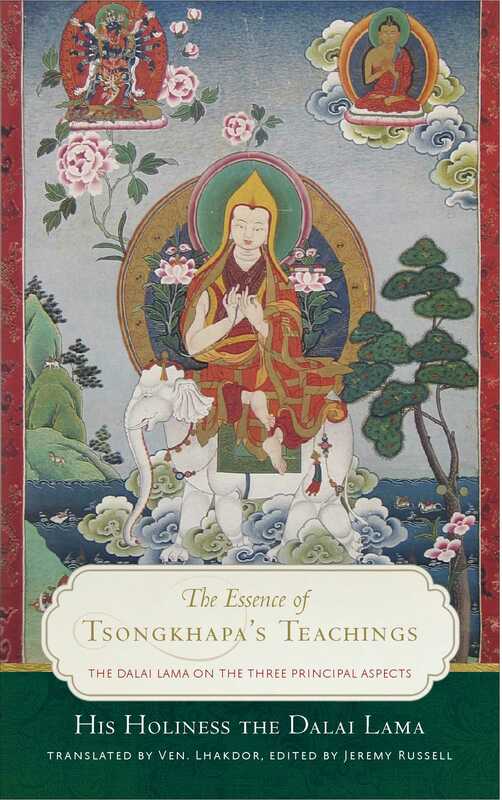 It includes Tsongkhapa's original text in Tibetan, so it could also be used quite effectively as a text for teaching the translation of classical Tibetan.